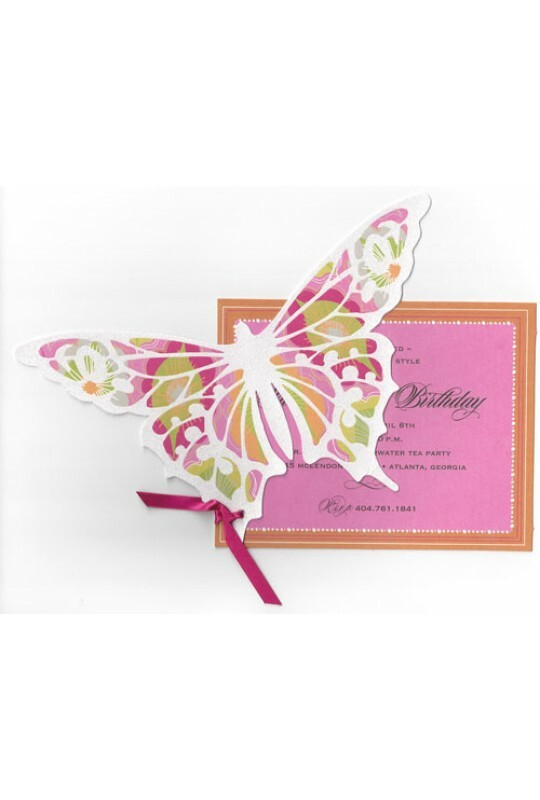 This two piece 5" x 7" invitation features a glittered die-cut of a butterfly. Perfect for birthdays, showers, parties and more. White envelpes included. 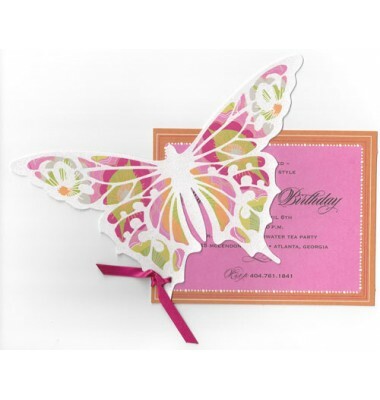 Attachement of butterfly to base card required.